These days it seems like every comedian with a microphone and a digital recorder has a podcast. In a sea of comics making with the yucks on mic, it’s hard to know which comedy podcasts are worth your time. That’s where we come in. 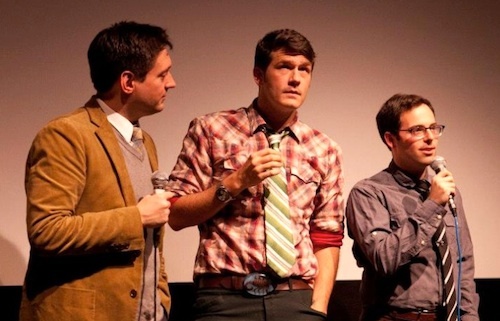 Take a look below at our guide to some hilarious podcasts that are worth a “subscribe” click. Veteran podcaster, radio host and TV writer Tom Scharpling continues to deliver one of the best comedy podcasts going thanks to excellent guests (everyone from rising comic Mary Houlihan to comedy luminaries like Patton Oswalt and Julie Klausner) and a hilarious roster of recurring characters played by musician and funnyperson Jon Wurster. 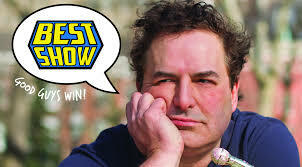 From ranting at unpredictable callers to bantering with his oddly lovable staff, Scharpling has more than earned the title of the “best” host in podcast-dom. 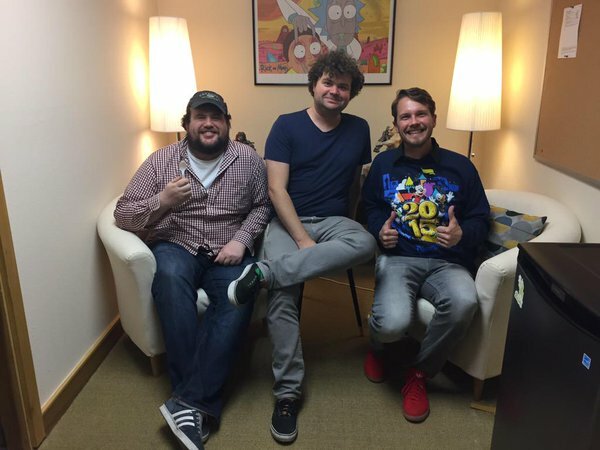 Flophouse hosts Elliott Kalan, Stuart Wellington and Dan McCoy recently celebrated 10 years of riffing on spectacularly awful movies. In addition to giving the business to duds like Suicide Squad, the gang celebrates their patron saint of bad cinema Nic Cage with annual “Cagemas” episodes and turns the spotlight on horror movie turkeys every “Shocktober.” The “Original Peaches,” as the hosts are known to their fans, also occasionally dip into the well of classic cinematic flops, as evidenced by a recent episode spotlighting the infamous Warren Beatty/Dustin Hoffman bomb Ishtar. In this tasty podcast morsel, hosts Mike Mitchell and Nick Wiger sacrifice their cholesterol levels every week to review fast food and chain restaurants. Guest comedians like Joe Mande and Nicole Byer also stop by to share their thoughts on Red Lobster, Dunkin’ Donuts and other fine purveyors of artery-clogging goodness. Comedy Bang! Bang! favorite Lauren Lapkus flips the script by having a rotating series of funny folks host an original show every week while she sits in the guest chair as a wacky character. 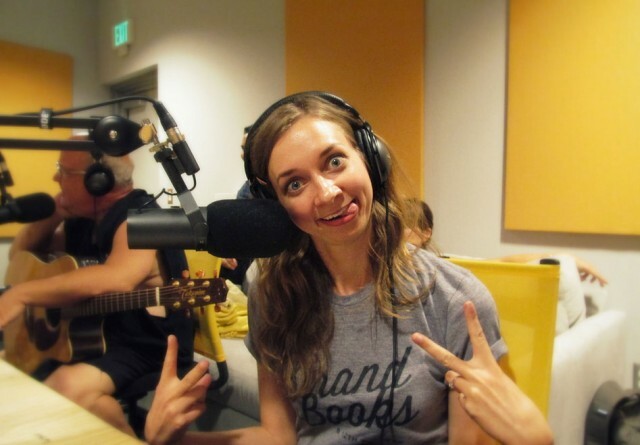 Comedians like Matt Walsh (Veep) and Cameron Esposito have taken on hosting duties, but it’s Lapkus’ improv skills that make this podcast a must-listen. 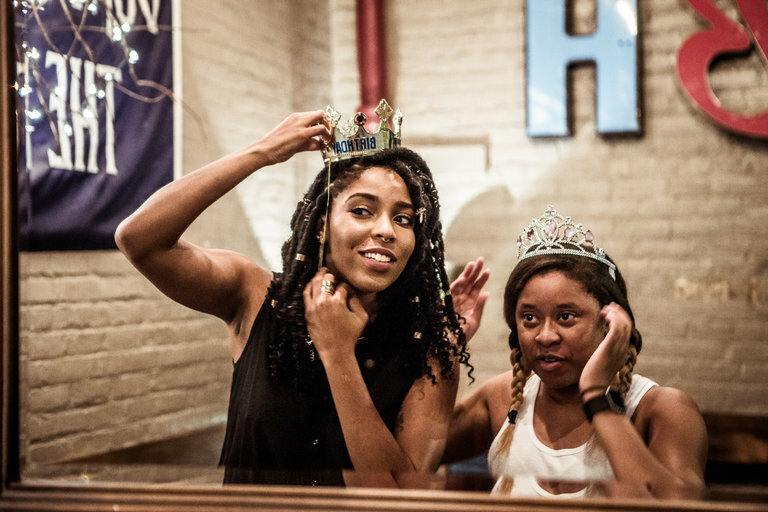 Comedians and friends Jessica Williams (The Daily Show) and Phoebe Robinson (Girl Code, Broad City) are joined by guests like Kevin Bacon and Ilana Glazer to dish on everything from pop culture to the latest infuriating antics of the Orange-Creamsicle-in-Chief. If you’re in New York City, be sure to catch the show live. The satire experts at Reductress have had quite a year, perfectly skewering women’s magazines, “mommy” blogs and the increasingly misogynist world we live in through their darkly funny website and book How to Win at Feminism. 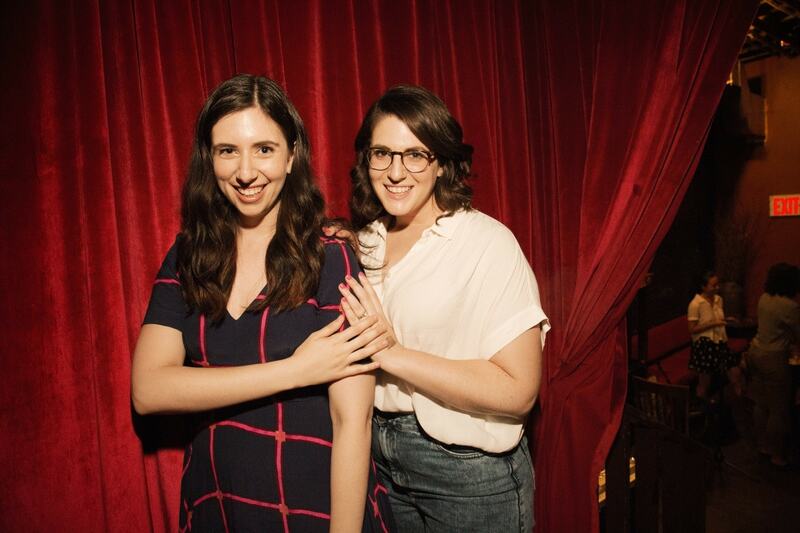 So it’s not surprising that their podcast is a spot-on parody of advice shows, with hosts and Reductress “editors” Queen and Dikoda having a weekly “dish sesh” on fashion, dating and the trends of the week. 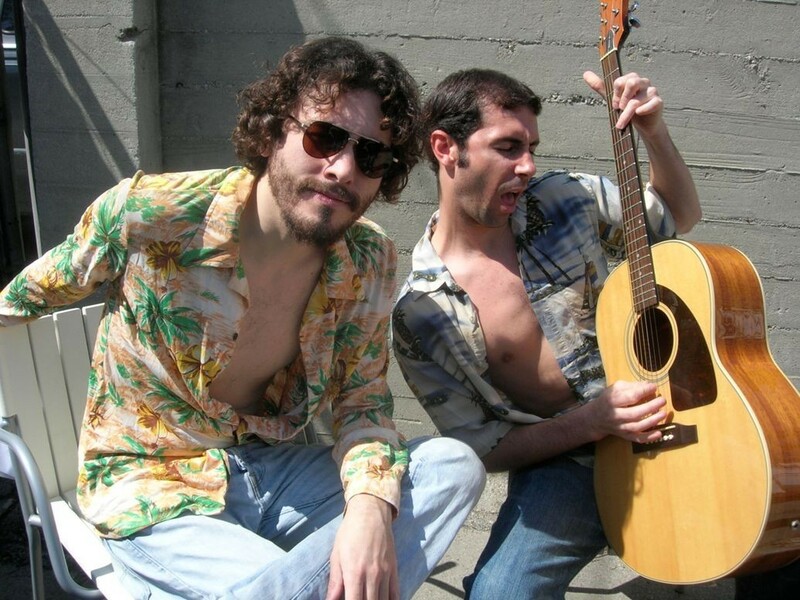 The podcast that introduced listeners to improv greats like Lauren Lapkus and Jason Mantzoukas, as well as a bevy of other comedic talent, recently celebrated 500 episodes with fan favorite characters like El Chupacabra (Nick Kroll) and Gino Lambardo (Jon Gabrus) dropping by. Over the course of the podcast’s long run, everyone from Paul F. Tompkins to Jon Hamm has stopped in to chat with host Scott Aukerman — or threaten his life in the guise of a hilarious character. 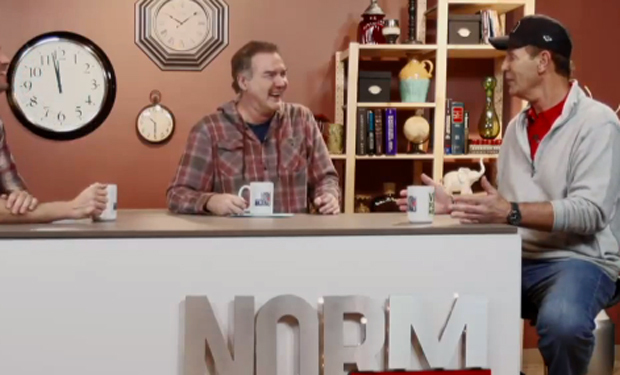 Master of the absurd Norm Macdonald brings his deadpan humor to in-depth chats with famous pals like David Letterman and Adam Sandler. Whether he’s gabbing with Bill Hader about his burgeoning movie career or reminiscing with Roseanne Barr about their time working on her classic sitcom, Norm’s knack for wry one-liners and showbiz insights is always on display. 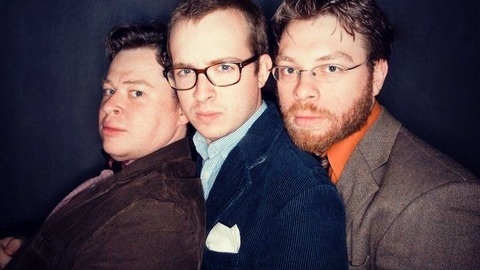 The McElroy brothers (Justin, Travis and Griffin) have built a cult following for their weekly comedy advice podcast thanks to their natural chemistry and low-key, absurdist humor. The brothers brought their skewed worldview to an amusing Seeso series and can count Hamilton himself Lin Manuel-Miranda, who gave them a shout-out at the Tonys, among their many fans. Any favorite podcasts we missed? Let us know on Twitter and be sure to #TTComedyMonth.